If you're a hurried baker like me but love scones, you will love the ease of this recipe. Scones with apples and cinnamon all with the big flavor and texture of scones but without the fuss of rolling and cutting. 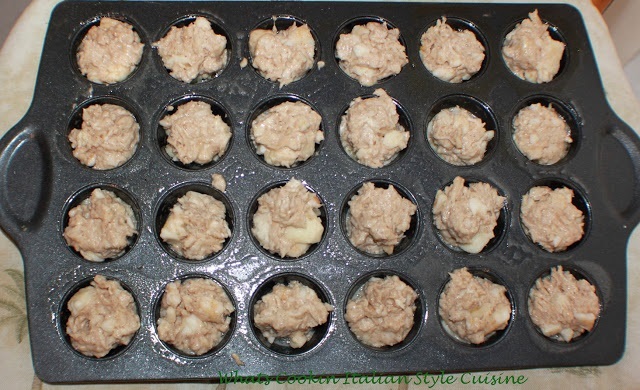 Add them to this mini muffin pan and out comes the tastiest little morsel ever! Often the larger scones are too much for me and these are perfect with a good cup of tea or coffee. You can either dust with powdered sugar, dip them in a caramel sauce or drizzle some frosting over the top whichever way you choose these will be a go to recipe. Did I tell you I love these? I love a buttery scone for breakfast. I am often way to busy to roll it out cut bake and then for me they're too big to eat it all. I like a little something with my coffee and these are the perfect solution for folks on the go. They are the exact recipe I love for apple scones, but I dusted them with powdered sugar instead of a drizzle of frosting. They are a perfect take with me to work or on the way to drop off the kids to school treat when you're in a big hurry! I usually have all these basic ingredients in the house to make them. I even sometimes leave the apples out and just add chocolate chips. Oh, maybe not so healthy but you can also use raspberries, blueberries or even strawberries. Make Whatever Your Family Loves in Them! Whatever you have in the house, add to your dough, you don't have to make them apple! Raisin and cinnamon scones are a perfect pair like the photo below. Simple and delicious, if that's all you have, then use what you got! Anyone that loves bread, biscuits or a not so sweet quick snack, these are the perfect little bite. 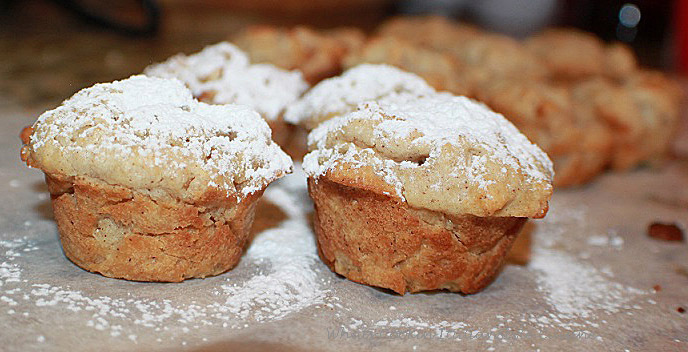 These mini apple scone muffins pack a powerful flavor. You can even use more spices you like, add nutmeg, ginger and pumpkin spice if you want an even bolder flavor. Whatever you decide to make, these are a perfect fall little start of the season of comfort foods. These mini muffins pans have so many great uses. I love to make mini blueberry muffins or cute little appetizers. 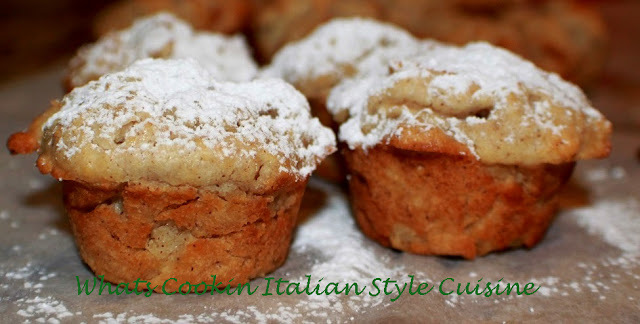 Just use your favorite dough or batter recipes for muffins. Or you can try some of mine. Here are my Pepperoni Provolone Bites or Best Muffin recipes, just use the mini pan instead of make the larger ones. You can buy them at any retail baking stores of use my Shop with me link to find on Amazon. When apple season is upon us, I get right to the farmers market the first chance I get, to buy a huge bag. I love McIntosh apples, or any tart apple that are for baking in season. When I start baking, I like to make two batches one for now and one to freeze, yes they freeze great! Since they are so small they thaw out fast too! Terrific to serve unexpected guests with tea or coffee. 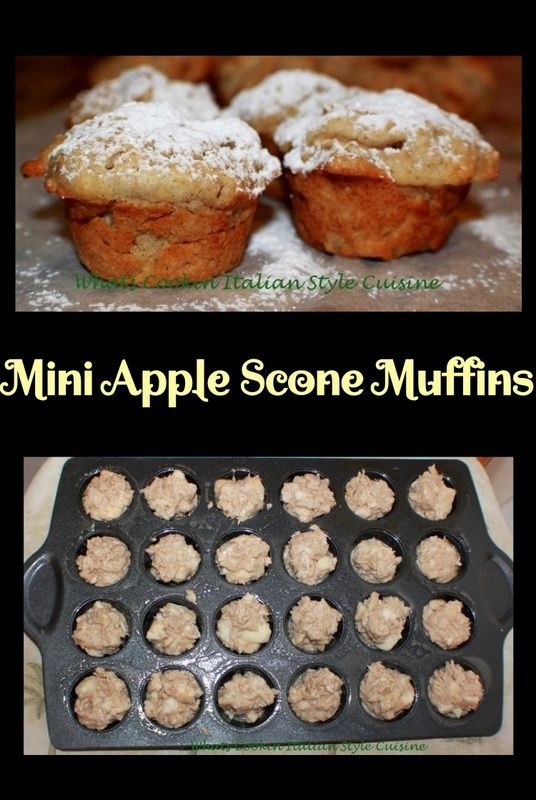 These Mini Apple Scone Muffins are the perfect breakfast, brunch or just a little snack when you don't want something overly sweet. They really are the best little mini scones ever! These are a basic scone dough made into mini muffin pans for a quick treat. Preheat oven to 400 degrees. Spray mini muffin pan with oil spray. Beat the sugar and butter together till light. Add the cream or milk , vanilla, egg and fold in the dry to this mixture until blended adding the apples last. Drop around 2 tablespoons in each muffin cup and bake at 400 degrees for around 20 to 25 minutes or till starting to get brown around edges. Cool then either top with powdered sugar, or drizzle with frosting. You can mix powdered sugar with a little bit of water at a time a dab of butter and stir to make a thin frosting on top. Then sprinkle with cinnamon. What type apples did you use? Love that you can freeze these! It's perfect to make ahead for busy mornings. Oh, these will be so perfect for fall! Great idea making them in a mini muffin pan! Saving this one for fall for my kids! Such a great idea for breakfasts and snacks! I love, love apples in baked goods! Your muffins would hit the spot!